Includes 4 scheduled services per year. The Pest Guard service plan provides for initial service, inspection and treatment/s for the control of the pests described below and it is understood that all other pests are not covered under this agreement. This program includes FREE emergency services as outlined below. Only structures listed below in special instructions and their perimeters fall under the service plan. Ants, Cockroaches, Spiders, Centipedes, Millipedes, Silverfish, Crickets, Springtails. Includes 4 scheduled services per year.  The Pest Guard Plus service plan provides for initial service, inspection and treatment/s for the control of the pests described below and it is understood that all other pests are not covered under this agreement. This program includes FREE emergency service as outlined below. An extra fee of a $125 minimum may apply if treatment for covered pest requires a ladder over 10 ft. Only structures listed below in special instructions and their perimeters fall under the service plan. Ants, (All Species) Pharaoh Ants, Acrobat Ant, Pavement Ants, Citronella Ants, Big Headed Ants, Little Black Ants, Cockroaches, American Cockroach, German Cockroach, Spiders, Sac Spider, Hobo Spider, House Spider, Daddy Long Legs, Cellar Spider, Centipedes, Millipedes, Silverfish, Crickets, Springtails, Saw Tooth Grain Beetles, Larder Beetle, Drugstore Beetle, Merchant Grain Beetle, Carpet Beetles, Cigarette Beetle, Box Elder Beetle, Hornets Nest, Yellow Jacket Nest, Bumble Bee Nest, Paper Wasp Nest, Carpenter Bee Nest Indian Meal Moths, Pill Bugs, Mud Daubers, Fleas, Clover Mites, Sow Bugs, Earwig, and Mice.